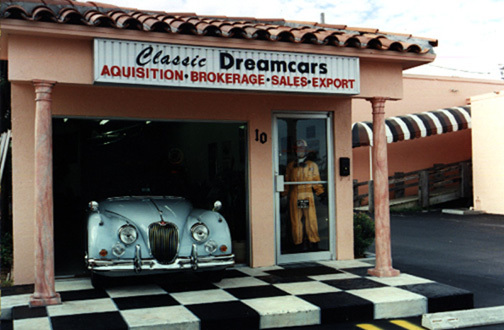 Classic Dreamcars Inc. was conceived in 1989 when the owner, Kerry Bogard, left a successful 23 year Radio Broadcast Management career in Florida and California to “semi-retire?” to his favorite hobby…classic cars. Having sold his personal collection of Jaguar XK’s and XKE’s during the frenzied buying of the “Auto Gold Rush” in 1989, he was lucky enough to make contact and sell most of the cars to the owners of two major restoration shops from Holland, England and, a wealthy private collector from Belgium. 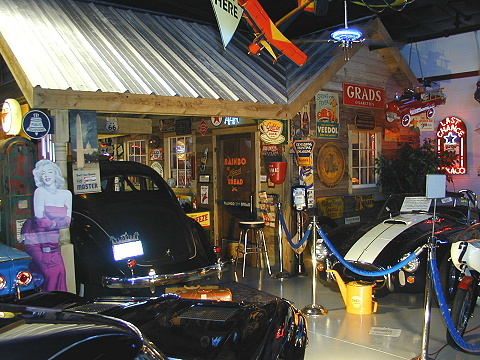 Since each of the restoration shop owners had been ‘burned’ repeatedly by a series of bad purchases from unscrupulous U.S. auto dealers, they were ecstatic to finally meet someone they could TRUST locating and purchasing classic cars. Impressed by the ‘honesty of description” and “the quality of the cars offered” by Classic Dreamcars, one proprietor provided the introduction to the other and, one buyer grew to multiple buyers. Soon the small little dealership grew by leaps and bounds. The foundation of the sales was an ‘honest description of the automobile’ and superior follow-up service, like shipping the car in a timely manner and, finding hard-to-find parts for the customer after the sale was long over. To this date, one of those buyers purchased an amazing 184 cars (Roadster Group B.V. Holland), while another bought 84 cars over 5 years. The third has remained a lifetime friend since. Therefore, tracing our history: the first five years of the business were spent, almost exclusively, selling mint original, or superb cars for frame-off restoration, to friends in Europe. 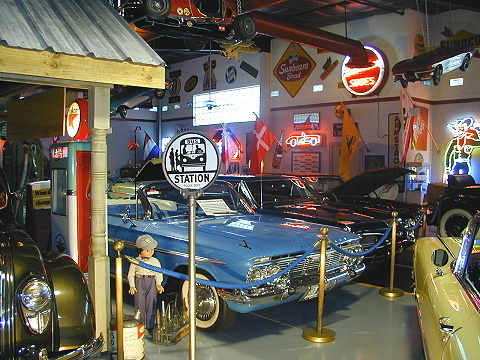 All this, from a one-car showroom ( pictured above) in Tequesta (Jupiter), FL., ( and a 12 car warehouse filled with Automobilia ). 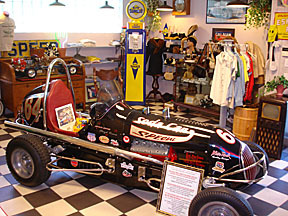 We believe in what we sell so, we have spent the last decade collecting our own “Dreamcar” Collection…you can see them online, or in person, at the ” The Mount Dora Museum”. Our experience in multi-makes dates back 39+ years but, when the Euro currency started to soften and the U.S. Dollar simultaneously strengthened, we chose that time to open a ‘retail’ showroom in Jupiter /Tequesta, FL. and market the same concept to our fellow Americans. At the same time we chose to ‘separate ourselves from the rest of the chafe’ by offering only ‘the best cars that money could buy’. 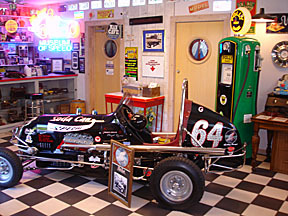 We found by personal experience, that many of the other classic car stores ‘promised big’ but, definitely did not deliver. Prior to getting into this business, we too, had wasted countless trips flying all over America to buy a car that was completely misrepresented or ‘over puffed’. But, by specializing in real “ultra-low mileage, or completely restored classics and / or exotic cars” only we could offer the consumer something truly unique…an HONEST car dealer! Starting in 1989 with a Brokers License by 1990, we passed the (now-23) rigid Florida Standards for obtaining an Independent Dealers License, and were granted, only the second license in the State, to open in a (upscale) shopping center. The idea behind opening there, instead of an old warehouse district (located in a commerce park or commercial zone), was to hopefully not expose our customers ( and inventory) to the dangers of the locale andto rise above the concept of ‘cheap rent = cheap cars’. The idea was novel and so successful we then graduated to a 14,000 sq. ft. showroom (a 1963 dime store) in the heart of an upscale community. We continued business until multiple exasperating attempts to build a new Art Deco Showroom there in Jupiter or Tequesta. Our venue was sold to the City ( demolished & with future plans to be replaced by a shopping center). 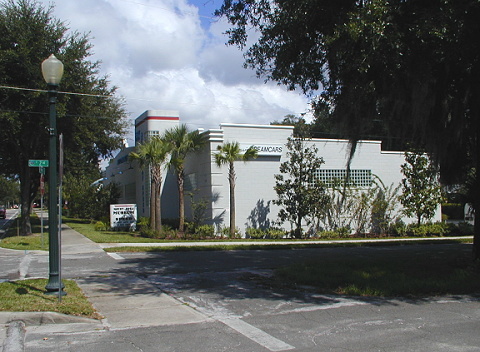 We then relocated near Orlando and build a new building…. from scratch.We are proud to say, that many of our new clients have purchased multiple cars ( 6-29) and many, repeatedly, send us new customers. In fact, we still sell many cars over the phone ( some for as much as $400,000), based solely on our reputation. That may be flattering but, we still encourage you to fly and survey the car yourself as only YOU know what you want or expect for your money. Incidentally, we have now reduced our stock to – 30 cars as we get closer and closer to retirement so, please don’t expect our inventory to change dramatically each month. Still concentrating on “The Cream of The Crop”, each of our cars averages about 3 1/2 months on the floor. Most dealers would ‘have a coronary’ over that bit of news but, since our stock is not ‘floor planned’ (financed by a bank) and we own it all… it doesn’t really bother us. Remember, typically Mainstream Classics go UP in Value each month, not DOWN (like new cars) .Also please understand, that we go to a lot of effort to locate and professionally survey ALL of our inventory. We, and our surveyors, fly and drive all over the States to pick only the best cars we can find so, since we aren’t forced to stock, what we consider ‘unacceptable’. Therefore, we take exception to “low-ball offers”. We pride ourselves in carrying only REAL true ” #1 and #2 Quality Classic Cars” so, you can count on finding only the Best Cars on our Museum floor. 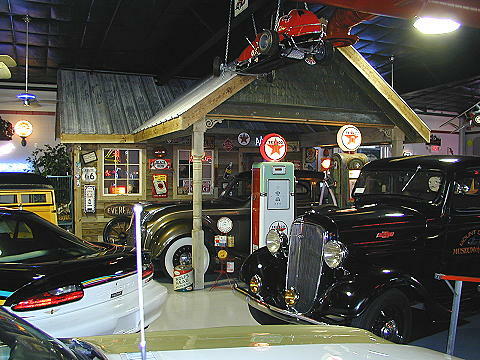 Our Classic Car experience dates back to active membership in the A.A.C.A. ( Antique Automobile Club of America) from the 1960’s coupled with valuable experience as Past Vice President, of both, the Corvette Club of the Palm Beaches, and the Ferrari Club of Palm Beach. We have judged many Car Shows, including Jaguar Club of America meets, and various other shows and events. 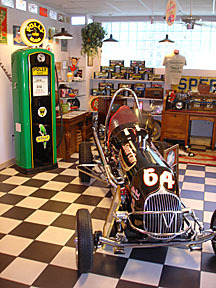 The bottom line is that we are REAL CAR PEOPLE not, your typical Classic Car Store that changes employees / management like you and I change our underwear. And, most importantly, we are in this businessbecause we love cars not because we are trying to make big bucks. We are a family owned and operated business. You can count on an honest description becauseWe know better than anybody what it’s like to fly to a car…. and be disappointed. Classic DREAMCARS Mount Dora, Fla. (352) 385-0049 www.classicdreamcars.com352-385-0049 OR TRY US BY E-MAIL: “ classicdc@aol.com “.